Funeral arrangements have been announced for the police officer who was killed in the line of duty in Perry Hall on Monday afternoon. 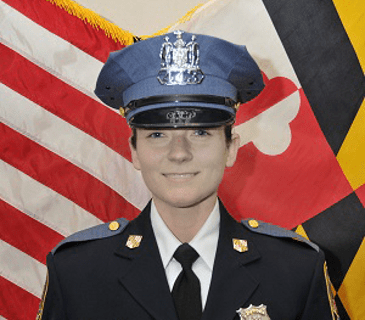 Officer Amy Caprio was killed while investigating a suspicious vehicle on Linwen Way in Perry Hall/Nottingham (21236). Four burglary suspects ran her down in their vehicle, causing deadly injuries. All four suspects have been arrested and identified. The viewing for Officer Caprio will be held at Schimunek Funeral Home, located at 9705 Belair Road in Perry Hall, from 2 to 5 p.m. and from 7 to 9 p.m. on Thursday, May 24. The funeral will be held at 10 a.m. on Friday, May 25, at Mountain Christian Church, located at 1824 Mountain Road in Fallston, with a service at Dulaney Valley Memorial Gardens to follow. Major traffic impacts have been announced for these services – click here for details.